The Click PUR S3 Boot is a black boot with a full-grain water resistant leather upper Water-resistant membrane lining. 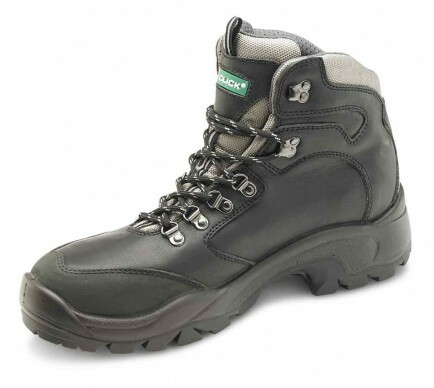 It has a 200 Joule steel toe cap and steel midsole along with shock absorber heel. It has a honeycomb gel heel insole for excellent comfort. The PU/Rubber sole is anti-slip and anti static and heat resistant to 300 Deg C. Conforms to EN ISO 20345:2011 S3 HRO SRC.